Roseanna C., MSW, was a clinical social worker in independent practice. She provided counseling services to children, adolescents, and families. One of her clients was a 13-year-old girl, Danya, who struggled with an eating disorder and symptoms of clinical depression. Danya's mother had originally reached out to Roseanna to obtain help for her daughter and provided parental consent to the counseling. Danya's parents were separated and in the midst of contentious divorce proceedings and a custody dispute. Danya's mother accused her husband of infidelity; Danya's father claimed that his wife was unfit to parent Danya because of her alcoholism. During counseling sessions, Danya talked to Roseanna about the difficulty she had getting along with her parents. One afternoon, Roseanna was served with a subpoena issued by the attorney representing Danya's father. The subpoena ordered Roseanna to appear in court three weeks later to testify at a scheduled hearing related to the parents' custody dispute and to provide the father's attorney with a copy of her clinical notes. The subpoena stated that Roseanna was "commanded" to appear at the hearing with a copy of her clinical record. Roseanna had never been subpoenaed before and was not sure of her responsibility. She speculated that the attorney representing Danya's father wanted to explore—through Roseanna's courtroom testimony and a review of her clinical notes—whether Danya had shared details about her mother's alleged instability that the attorney could use against Danya's mother during the child custody dispute. Roseanna told Danya's mother about the subpoena; Danya's mother and her attorney refused to provide Roseanna with permission to disclose any information about her confidential counseling sessions with Danya to her father's attorney. Roseanna was not sure how to balance her duty to protect Danya's confidentiality with her duty to respond to the subpoena that "commanded" her to disclose this information. A subpoena is a written order issued by a court or officer of the court (such as an attorney) that commands a person to appear in court at a specific place and time or produce specific documents. Social workers can be subpoenaed in two different ways. A subpoena ad testificandum, also known as an ordinary subpoena, literally means "to testify under penalty." It commands a person to appear at a particular location to give testimony. The most common use of a subpoena is to require a witness to attend a trial. A subpoena duces tecum, also known as a subpoena for production of evidence, literally means "bring with you under penalty." It commands a person to appear at a particular location to bring a specified item, such as a client's clinical record, for use or examination in a legal proceeding. A subpoena duces tecum is used most often in civil lawsuits when one party refuses to give the other party documents through the discovery process. If a court is convinced that the document request is legitimate, it can order the production and disclosure of documents. Over the years I have discovered that many social workers confuse subpoenas and court orders. They are quite different. The NASW Code of Ethics requires social workers to protect subpoenaed confidential information unless clients consent to the disclosure or a court orders disclosure: "Social workers should protect the confidentiality of clients during legal proceedings to the extent permitted by law. When a court of law or other legally authorized body orders social workers to disclose confidential or privileged information without a client's consent and such disclosure could cause harm to the client, social workers should request that the court withdraw the order or limit the order as narrowly as possible or maintain the records under seal, unavailable for public inspection" (standard 1.07[j]). To protect clients and adhere to the Code of Ethics, social workers should understand their obligation to challenge subpoenas in the absence of client consent or a court order. Usually with the benefit of legal consultation (which may include consulting the client's attorney, with the client's consent), social workers may object to the subpoena or file a motion to quash the subpoena. Depending on the circumstances, social workers may challenge the subpoena on the grounds that it requests confidential or privileged information that the social worker is not authorized to release (for example, because the client did not consent to disclosure or disclosure would violate relevant laws) or that the scope of information requested by the subpoena is overly broad and needs to be narrowed. The law recognizes the importance of protecting certain communications between professionals and clients and grants them a privileged status during legal proceedings. For example, both state and federal laws prevent certain professionals, such as social workers, from being forced to testify or submit documents about their clients (although there are some narrow exceptions). Social workers who are subpoenaed to testify about confidential communications with clients or disclose confidential records would be wise to seek consultation before responding. 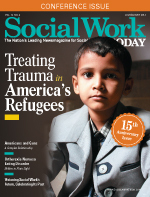 To protect both clients and themselves, social workers should consider consulting with social work ethics experts and attorneys who specialize in the kinds of legal proceedings that involve social workers, such as divorce, custody disputes, termination of parental rights, criminal court trials, guardianship, and professional malpractice. Such consultation can reduce risk significantly and increase the likelihood that social workers protect their clients' rights. In addition to possibly violating clients' confidentiality rights, social workers who mishandle subpoenas expose themselves to the risk of licensing board complaints and lawsuits if they disclose information without clients' consent or a court order and the disclosed information is used against the client. Fortunately, Roseanna sought such consultation. With the help of an attorney, Roseanna challenged the subpoena on her client's behalf. She argued that she did not have her client's permission to disclose confidential information about their clinical sessions and that it would not be in Danya's best interest for this information to be disclosed, given the possible detrimental impact that such disclosure would have on Danya's relationships with her parents and her social worker, Roseanna. The judge in the case ruled that Roseanna should not be required to disclose the confidential information on several grounds: The client did not give permission for Roseanna to disclose the information, disclosure would not be in the child's best interest, disclosure of the information was not essential to a satisfactory resolution of the parents' dispute, and the possible benefits resulting from the disclosure would not outweigh the damage that might result if the client's confidentiality rights were overridden. This was a good outcome; unfortunately, I have testified in lawsuits and licensing board hearings filed against social workers whose clients alleged that the social workers released information without proper authorization. Many social workers are subpoenaed during the course of clients' legal cases. To adhere to social work's ethical standards, it behooves practitioners to fully understand their ethical obligations whenever they receive subpoenas.